Legacy also includes Naruto Shippuden: Ultimate Ninja Storm 4. Naruto Shippuden: Ultimate Ninja Storm Legacy and Naruto Shippuden: Ultimate Ninja Storm Trilogy will launch for PlayStation 4, Xbox One, and PC in North America and Europe this fall, Bandai Namco announced. 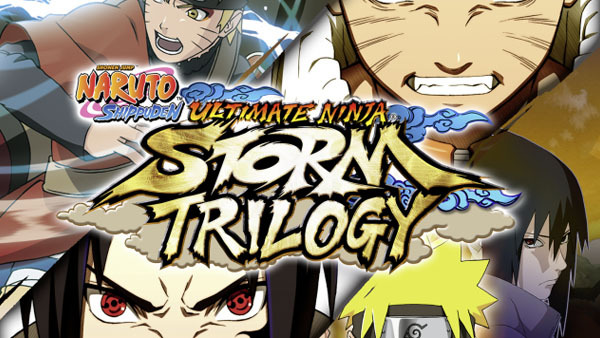 Naruto Shippuden: Ultimate Ninja Storm Legacy includes four titles from the Naruto: Ultimate Ninja Storm series, including Naruto: Ultimate Ninja Storm, Naruto Shippuden: Ultimate Ninja Storm 2, Naruto Shippuden: Ultimate Ninja Storm 3 Full Burst, and Naruto Shippuden: Ultimate Ninja Storm 4 Road to Boruto, as well as downloadable content such as characters, costumes, and scenarios. It will also include an exclusive SteelBook case, Naruto art book, and bonus anime disc. In Japan, Naruto Shippuden: Ultimate Ninja Storm Trilogy is due out as both a physical and digital release for PlayStation 4 on July 27.